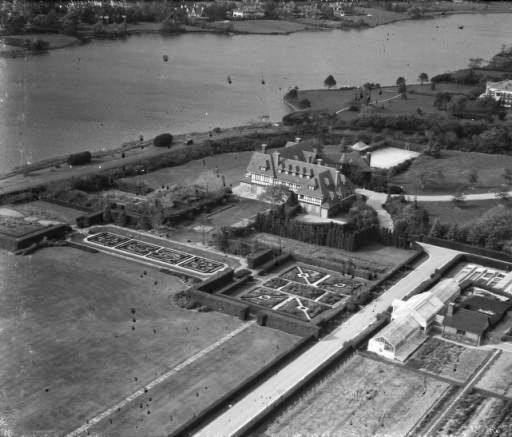 The Dr. Peter Brown Wyckoff estate designed by Barney & Chapman c. 1900 in Southampton and pictured here as 'Wooldon Manor' under the subsequent ownership of Mrs. Jessie May Woolworth Donahue. Click HERE and HERE for more on the estate. Photo from SMU's Robert Yarnall Richie Collection. Can't believe they're subdividing it. High real estate values lead to creating yet more value by subdivision. Not pretty, but there it is.